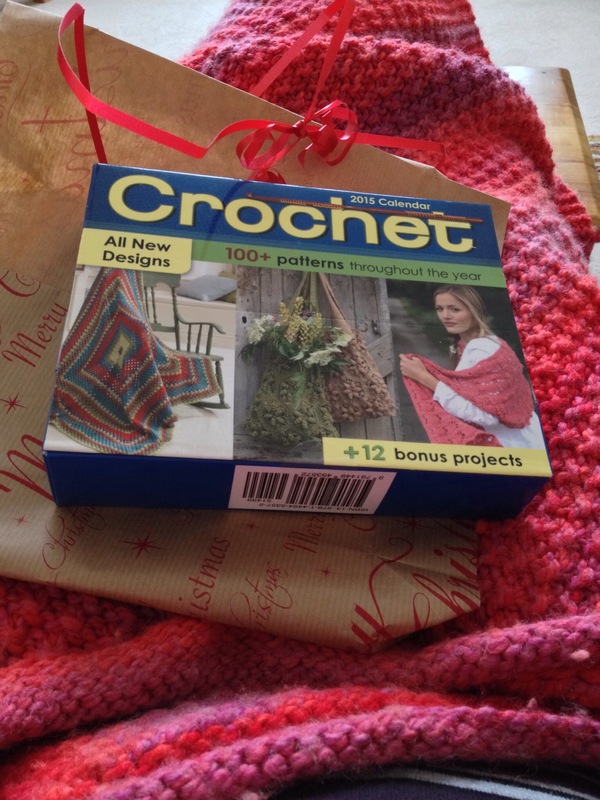 A few days later my cousin sent me a quick message to say she had posted one of my Christmas presents. I wasn’t entirely sure why because we often have a late Christmas catch up a few weeks or months after. One year it was in June, to the amusement of restaurant staff who watched as we all exclaimed over pretty wrapping and enthused about a pile of gifts! I’ve found this about last year’s late Christmas. I never really look back at my blog posts but I might start; to see what I was doing this time last year(s). Ah! What a great present. I can totally see why she sent it this week. I’ve looked at those make an origami-whatever or solve a daily crossword type of calendars, but have never seen a crochet version. It’s an American product which my cousin saw in a garden centre here. I bet you can buy one online. Because I have GOT to keep on with the William Morris motif blanket I haven’t looked all through the January patterns as it’s too tempting to start some, but there are a some sweet makes. 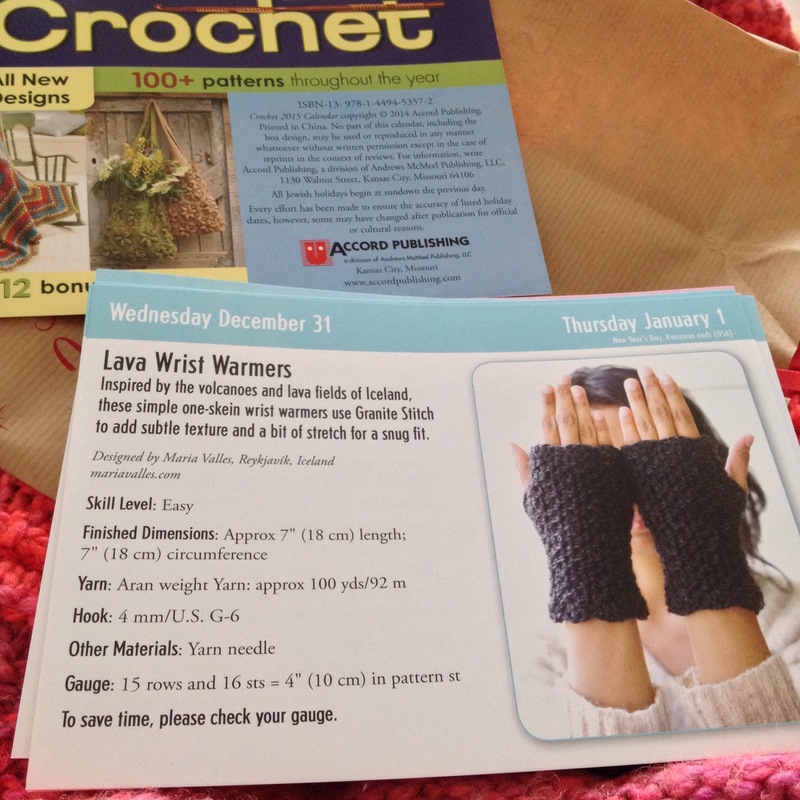 I am itching to make those mitts. I’ve never done granite stitch but saw a Kat Goldin pattern in a recent crochet mag which uses it. That’s going to be my next new stitch soon. 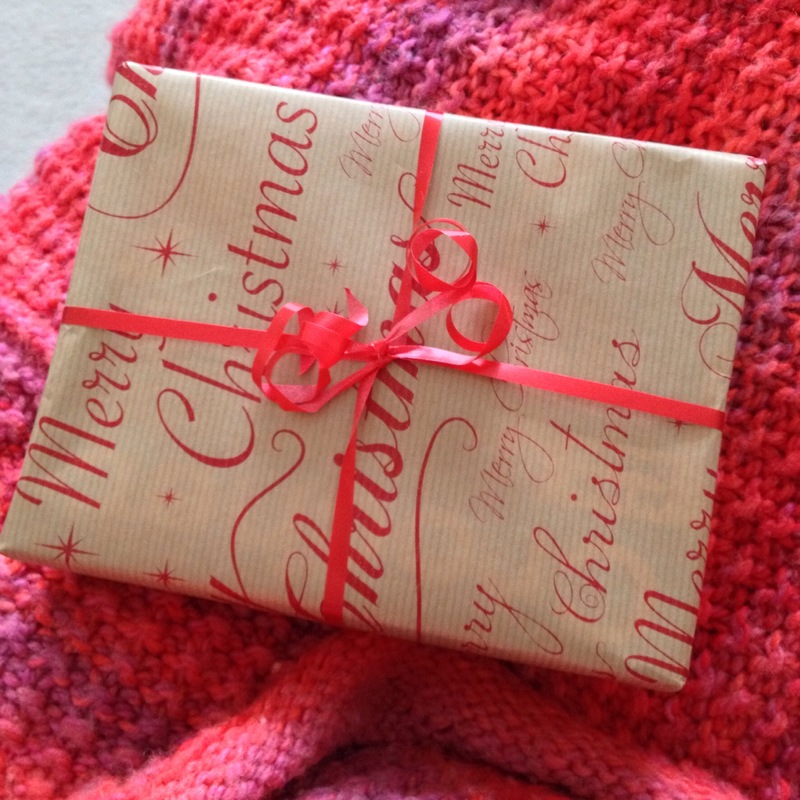 The third surprise was from my friend who has been sent free tickets to go to Excel to the Stitching, Sewing and Hobbycrafts show in March, and wondered if I wanted to go with her. Yes please, thank you actually! 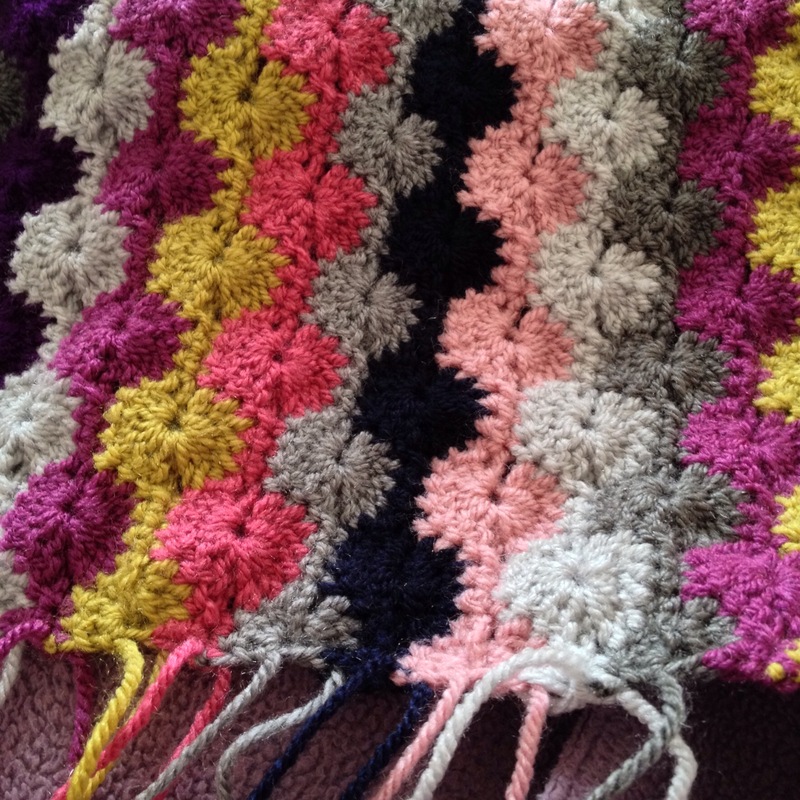 I haven’t really been able to do anything other than cough, ache, wheeze, shiver and groan crochet and watch Netflixs: Life on Mars, Black Books and the excellent BBC version of The Lady Vanishes, or listen to my current audio book: Instructions for a Heatwave by Maggie O’Farrell. I’ve darned all the ends on the little doll blanket and now it’s ready to edge. I think it needs something very simple like rows of DC to finish it off, anything else will be too over the top. Yesterday we both turned a corner, despite coughing in tandem at 5am. In the end we gave up trying to sleep and got up and made mugs of tea at six to take back to bed. 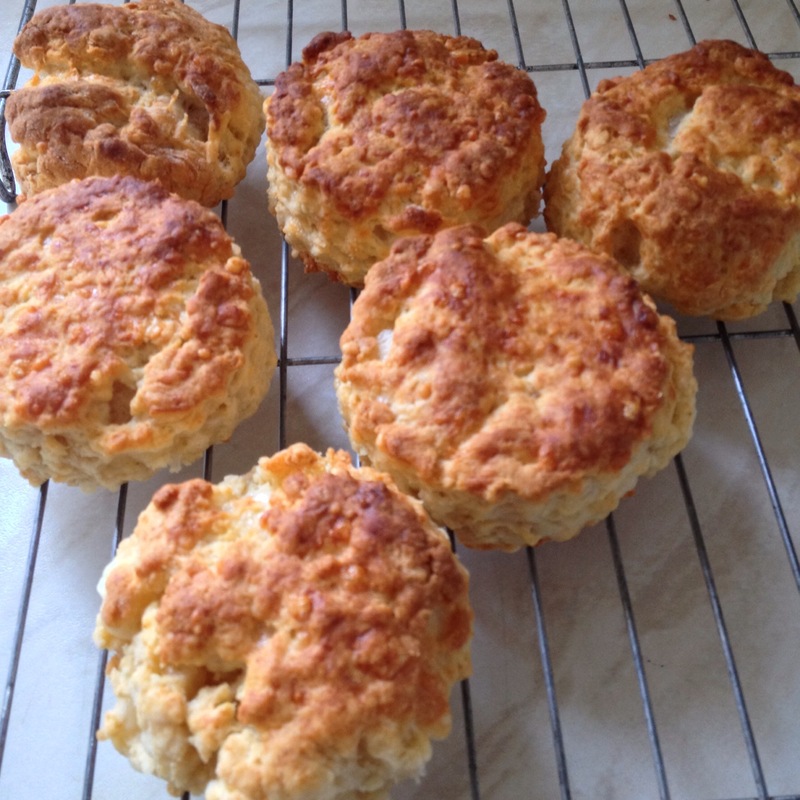 Later I felt well enough to cook a little batch of cheese scones, then I collapsed back onto the sofa for a bit of Glee S4. But still, I felt better than I had the rest of the week. Last night the football was on and so I immersed myself in the new issue of Country Living which came yesterday. 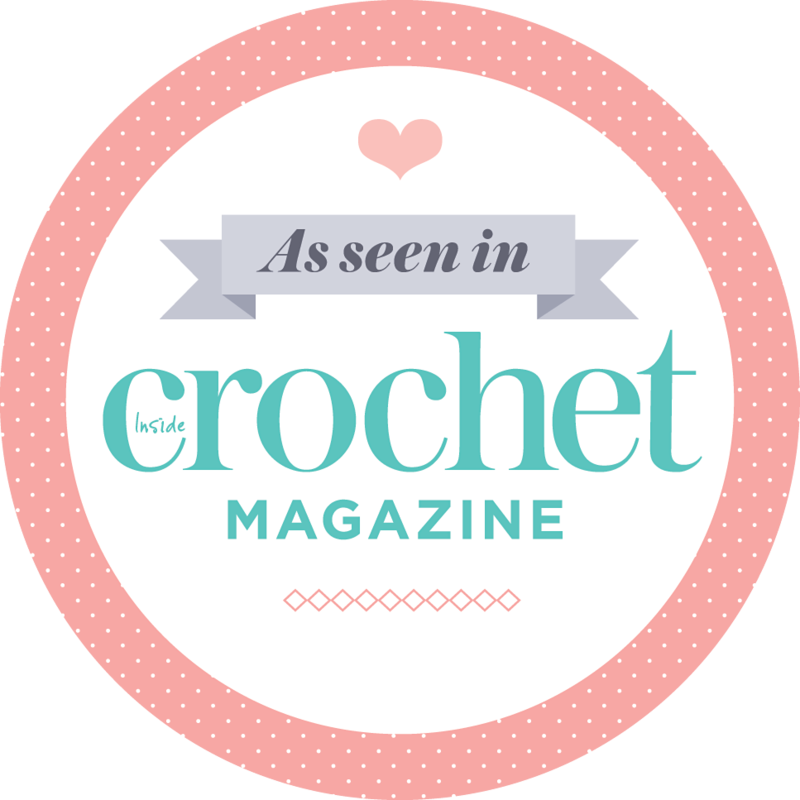 It’s a Springtime goodie and full of lovely designs in greens and blues. 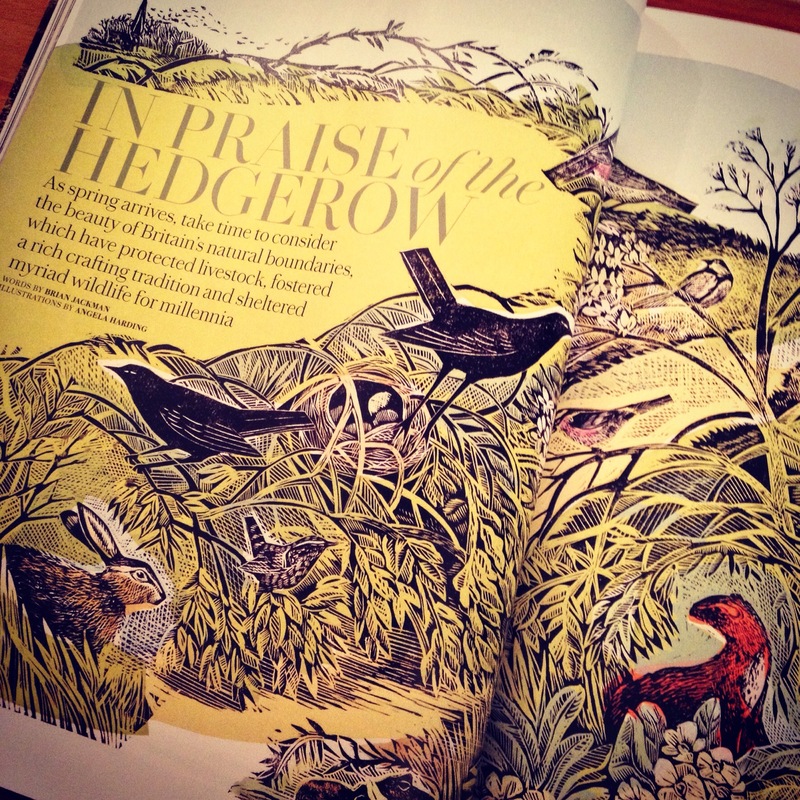 I became completely engrossed in this article about British hedgerows. When I’m enthused about something I can’t help sharing what I’m reading and giving impromptu pop quizzes. “So, how many thousand miles of hedgerows do you think we have?” “How many of our lowland mammals’ habitats are in hedgerows?” “How can you estimate the age of a hedgerow?” Luckily I get away with this and had some intelligent answers and a bit of chat, alongside the football commentary. The article brought back long-ago memories of a hedge layer giving my primary school class a talk and demonstration of his craft. It’s so interesting. I’ve got the original too – I think it was a freebie with a newspaper. Ruth Rendall is the lady isnt she? We do have the same DVD, it’s obviously not RR is it. That’s my germ filled brain affecting my memory! I wonder if there’s a third version with her? Or maybe I’m thinking of her in another train film such as: Murder on the Orient Express. you’re only on season 4 of Glee? Well, you won’t believe what happens when…… (heh). Are you getting it via regular tv? My week has been a mess of root canals, doctor’s visits, and difficult family interactions. I’m glad it’s over. !!! I’m watching on Netflix. I think it’s on Sky now, but I stopped watching on TV years ago. Sounds like a poor week. Hope the next is better. I’m sure there won’t be any rubbish patterns in mine!!! I fancy an origami one sometime, that might be challenging good fun! Nice, belated Mele Kalikimaka score. I like those mitts too. And yay on looking forward to a craft show. I’m sorry you and the Mister have been suffering a cold. No fun.